UPDATED: Wed., Jan. 31, 2018, 12:36 p.m.
Where: 9013 E. Frederick Ave.
Food: Chips and salsa, snack mix; customers encouraged to use Uber Eats. You’ll know when you’ve arrived at the Millwood Brewing Co. The area’s newest brewery, which opens Friday, sits a half-block west of Argonne on Frederick, but it’s hard to miss. A large 1940s farm windmill sits in one corner of the parking lot. A custom weathervane depicts a pup perched on a bone (after the owners’ beloved French bulldog). Once you step inside the former Cunningham photo studio, it’s like a combination pub and museum, full of beer and neighborhood memorabilia along with assorted antiques – from railroad crossing signs to historical photos to a functioning stoplight. They bought the building three years ago and started construction this summer. A glass garage door opens onto the patio, which fronts railroad tracks including an abandoned right-of-way that’s being developed into a recreational trail. Edison bulbs hang in vintage fixtures, with two big windmill fans on the ceiling. The brick-walled bathrooms have sliding barn-style doors. The bartop was fashioned from a 16-foot pine slab with a winding cutout filled with rocks from the Pend Oreille River, where the Watkins have a cabin. In one cozy corner, a leather couch and chairs surround a stone fireplace adorned with a massive moose head (that’s Morty). A mezzanine seating area looks down into the brewery, its walls covered with some 70 old beer signs from the collection of Shelly Watkins’ late father, Jerry Eslick, a longtime salesman for the former Joey August distributorship (check out his “J-Slick” license plates). Brewer Jordan Conley is starting with half-batches on the sizable 10-barrel system while he adapts the homebrew recipes he’s been working on the past eight or nine years. “Going from 5 gallons to 155 is a big jump,” he said. Four beers are on tap for starters: Truck Bed Red, Papermaker Pale, Millbilly IPA and Frogskin Porter (after a logging nickname for greenback dollars). All are quite sessionable at under 5 percent alcohol by volume. Three more styles will round out the regular lineup: J-Slick blonde, Three Quarter Ton Scotch and Air Monkey Stout. The 12 taps also will pour rotating specialties, house root beer and cream soda, cider and eventually a cold brew coffee on nitro created by Shelley Watkins, who previously owned the Bigelow Gulp coffee shop (Conley was a customer). Bellwether has a pair of events the next two Thursdays featuring typically distinctive beer styles. This week launches the Year of the Sainted Brewers, with special releases the second and fourth Thursdays of each month honoring saints associated with brewing. First up is a blend of wine barrel-aged Brett imperial rye and a tripel brewed with plums gleaned by the Spokane Edible Tree Project (which receives $1 from each pint sold), in recognition of St. Veronus, patron saint of Belgian brewers. And Feb. 1 marks the second annual GruitFest, featuring examples of those herbed brews by Bellwether, Iron Goat, Perry Street, Republic, Quartzite, Whistle Punk, Young Buck and Hierophant Meadery, plus a collaboration. Admission is $25 for a commemorative glass and five drink tickets (extras $2 each); $5 of that benefits the family of late Iron Goat co-founder Paul Edminster. Bellwether just released two new gruits: Eclectic Feel (5.5 percent alcohol by volume, 20 International Bitterness Units), with wheat, honey, birch bark, lemon verbena, basil and black pepper, and Fat Hobbit’s Tricksy Gruit (7.2, IBU not calculated) with rosemary, grapefruit peel, clove, allspice, grains of paradise, coriander, star anise, Southern Cross hops and orange juice. The newly reopened, renovated Steam Plant Kitchen + Brewery is pouring a Nitro Espresso Porter (6, 28). Selkirk Abbey’s Northern Cross Doppelbock (6.5, 33) is smooth and rich with a touch of malt sweetness in the finish. Black Label’s third anniversary party Saturday features $3 pints and live music. Iron Goat releases a porter brewed with crushed Samoa cookies for a Girl Scout benefit night at Community Pint on Feb. 1. River City, which closed its downtown taproom, marks its fifth anniversary Feb. 2 with its initial First Friday brewery party. Look for a new barleywine, previous anniversary beers and the debut of a rotating Experience Pale series, with pint discounts plus David’s Pizza and live music. English Setter, under new ownership, celebrates its fourth anniversary Feb. 10 with two new beers: The Grimm imperial oatmeal stout and Guard Dog IPA. 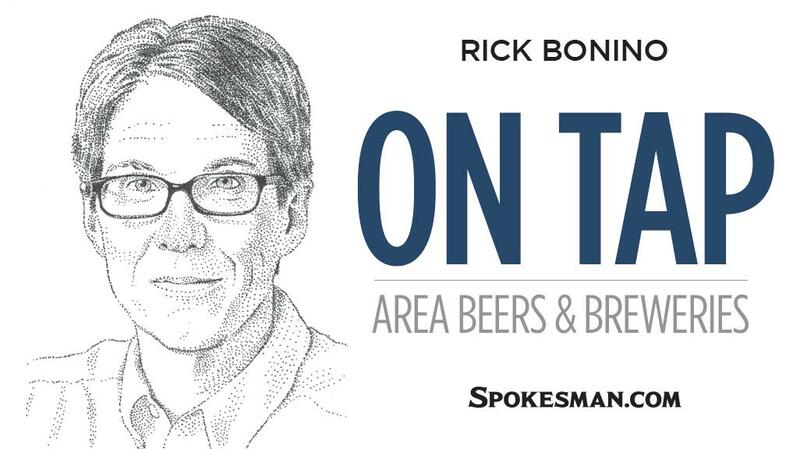 For a full rundown of local beer events and news see www.spokane7.com/blog/ontap. Published: Jan. 23, 2018, midnight Updated: Jan. 31, 2018, 12:36 p.m.